As search engine algorithms continue to evolve, so too must your technical SEO audits. Over the past decade, the tremendous growth of online content has resulted in an increasingly competitive online market. It now takes more than creating high-quality, optimized content and relevant backlinks to get ranked on Google’s first page. While it cannot be overstated how important a role unique content plays in the success of an SEO campaign, it is critical to not overlook the other technical components involved. Technical SEO is the foundation of your website and can make or break where your site ranks with leading search engines. Without being fully optimized for technical SEO, you risk potentially undoing the positive effects of creating that unique, optimized content that you worked so hard to develop. 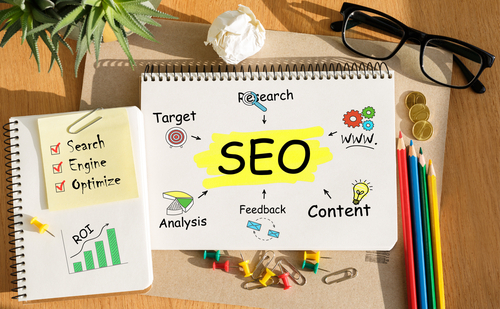 This article will review the top 4 factors that play a part in a successful technical SEO strategy. Site speed matters. Most people abandon a website if it takes more than 3 seconds to load. Google recognizes this and it is why they use website load time to determine how relevant a website is. Most website owners don’t know precisely how long it takes their pages to load—but there is an easy way to find out. With the aid of website page speed testers—many of which are free—website owners can quickly discover their webpage load time and suggestions for how to improve it on all devices. A great tool for the job is Google’s PageSpeed Insights. If you realize that your website has room for improvement, don’t panic. A few key changes can make an immediate difference. Enabling browser caching, compressing large pages, and resizing images to include fewer pixels will all cut down on the amount of time it takes an average web page to load. With 50% of google searches coming from mobile devices, be sure to optimize both your mobile and desktop sites. If you’re just starting out, it may be beneficial to create a site with an online website builder, which will offer an optimized platform from the start. With the effort put into creating your site, you want Google to be able to find it in its search results. Fortunately, it’s easy (and free) to add a website to Google’s results, and doing so can make a big difference in terms of traffic. Here’s a quick overview of what you need to know. Google must first find, crawl, and analyze your website prior to including it on a search engine results page (SERP). Google does this by using a spider, known as Googlebot, which wanders the Web gathering as much information as possible. There’s no telling when Googlebot will crawl your site, but proactive webmasters can expedite the process by giving Google a heads up. By submitting your sitemap to Google, you stand to boost your site’s SEO, allowing your content to be found more quickly and more frequently than it otherwise would. A sitemap is simply a list that outlines the pages of your website and the hierarchy in which they are organized. Sending a sitemap to Google is easy; you don’t need to be technically sophisticated. Simply follow the quick steps listed below. Step 1: Add Your Site to Google Search Console: Before doing anything else, start by adding your site to Google’s Search Console. Step 2: Create a Sitemap: There are many ways to create a sitemap. Depending on which website builder your site uses, one route might be better than another. Most sites can avail of a free online generator which are widely available. Step 3: Submit your sitemap to Google Search Console: Log in to your Google Search Console account, and look for the Sitemaps section. Click on ‘More’, then on the ‘Add/Test Sitemap’ button. You’ll then be prompted to navigate to the sitemap file you created in Step 2. Simply select it and click ‘Upload’. A significant amount of a website’s traffic comes from search engines—namely Google— so your success, to some extent, depends upon how frequently your site is scanned for new content. So, how do you ensure that your site is included in Google Search results and how often does Google update its results? This spider performs two separate kinds of searches: a monthly “deep crawl” that aims to dive into the furthest reaches of the Web, and more-frequent “fresh crawls” that mainly focus on newer content appearing online. Once Googlebot grabs the information, algorithms analyze and index it in Google Search. Now you may be asking, how often does Google crawl my site? Create a sitemap and submit it to Google. Let them know about the new pages on your site. Keep adding content. Start a blog if you don’t have one, and add new articles at least three times a week. Adjust your crawl rate. Look for this setting in Google Search Console. It controls how much time Googlebot spends searching your site, not how often it happens. Make your site speedier. Check your page load time and remove or modify any elements—like oversized images or large PDFs—that are slowing your site down. Remove any duplicate content. Make sure all your pages have unique title tags, meta tags, and of course, content. Share links on social media. Googlebot arrives on sites via links, so the more links to your content, the more likely you are to be found by Googlebot. It’s said that a picture is worth a thousand words – which is true – as long as that picture can be found by Google. For anyone with an online presence, especially Bloggers and eCommerce shop owners, image optimization is something that needs to be mastered. Understanding the difference between a .png and .jpg file and how to properly use alt tags will help to greatly increase your web traffic. The following guidelines will get you well on your way to master image optimization for SEO. There are many image formats to select from, the most common being .jpg, .gif, and .png. When looking at an image you can’t see the difference between the three, but search engines instantly see is because of the unique ways in which they each act on the Web. Some types load more quickly, while others offer more detail. The distinction between these file types can’t justifiably be summed up in a few sentences. Luckily, though, Google has put together a comprehensive guide that will help you choose the right one for your need. Selecting the proper dimensions for your images is another important consideration. When saving an image, remember that the larger the image, the longer it takes to load. Your website’s template will likely dictate how much space you have for your image, but just be sure that your images look good on both desktop and mobile devices. Among the most important aspects of image optimization is appropriately naming your files. When uploading images to the Web, it’s imperative that you describe images in their file names, so that search engines can correctly categorize them. Use keywords and detailed image descriptions. For example, if you’re using an image of a Hawaiian sunrise, you should save the image file as waikiki-hawaii-sunrise.jpg. This ‘meta information’ helps search engines learn more about your website and ultimately ranking it higher in its results. It’s not surprising that most website owners tend to focus their efforts on developing unique content and the on-page aspects of SEO, leaving technical SEO on the back burner. However, after reading this article you should now understand how important it is to monitor and manage the technical issues on your site in order to perform well in search engine results. These quick tips are by no means the be-all and end-all as far as technical SEO is concerned, but if you keep them in mind when performing your next SEO audit, your content should reach readers’ eyes in no time. In addition to utilizing these technical tips, many of the best website builders available today will offer a range of SEO tools to help grow your website . Use the tips from this article in coordination with the tools provided by website builders such as Wix and SiteBuilder to improve your site's ranking and reach even more customers.